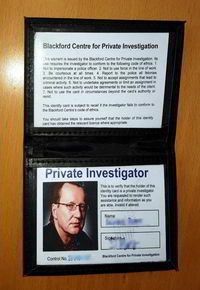 What's in your Private Investigation Course Pack? A sturdily bound set of course modules that lies flat for ease of study. 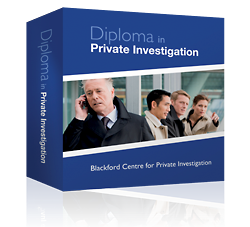 Detailed, practical information that guides you skilfully towards becoming a professional private investigator. Self-assessment exercises. They occur throughout the course to help you get organised for your as a PI. They also check that you can tackle each type of task. 11 assignments. Your assignments will be carefully marked with personal advice by an experienced tutor. A useful case that keeps all your course material. A Private Investigation Special Report. 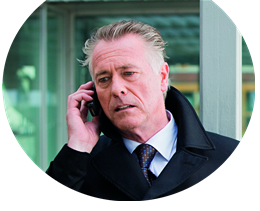 Private investigation newsletters full of marketing tips and ideas regularly sent to your email inbox. A folder for your completed assignments. Bonus: Your First Client Celebration Kit. What’s the first thing to do when you get your first client? The answer is: ‘Celebrate!’ And we’ll help you do that, because as soon as you get your first paid work we’ll send you a celebration kit including fun items such as champagne glasses and other party items (Value £31). An 'Approved PI' logo to use on your site. We'll send a free press release to your local news media announcing your success (if you request it). The right to use the post nominal letters Dip. P.I. (BC) after your name.